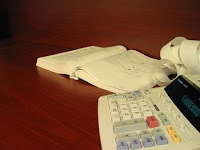 Financing a home may seem like a daunting prospect when we think about all the paperwork that is sure to be involved. The truth is that while the process is undoubtedly thorough, it need not be intimidating at all. Preparation and readiness can help remove most anxiety about home financing. Gather your credit information. All lenders will look at your various documents – savings, taxation, outstanding loans – and decide if you are creditworthy. Make sure all your documents are to hand. Also, ensure that you are up-to-date on payments with any loans you may have including credit card bills. Next, work out the cost of the home purchase process. The purchase price is one thing but work out all the other expenses as well. Interior work, taxes, stamp duty, repairs, additions, remodeling, furnishing, moving charges, exterior work, all these need to factor into your total cost of home ownership. Once you know this, you have a right ballpark for how much home finance is required. After that, see how much you have in savings for the deposit. Is it enough to get you financing? How much more do you need? How much time will that take? One outcome of this is that you might reevaluate the type of home and the location of the house that you wish to buy. This is not a bad thing. Buying a home is not something you have to do today. If you are not prepared, it is better to wait before entering into such a significant financial commitment. Work out which home buyer financial aid program that suits you best. In the UK, for example, you can get home buying assistance from the Help to Buy plan wherein the government loans up to 40% (in London) of the property price at a low-interest rate. If you have saved for the 5% deposit, you need home finance for the remainder only. You can even choose the Starter Homes scheme and get 20% discount on the property price after paying the deposit. When approaching banks/lenders for the housing mortgage, make time to understand what they are offering entirely. Loans have to be repaid over several years. It is a commitment you cannot back out of without losing your home. Get professional help, if need be, to understand which loan scheme is most manageable for your financial status as on date and the change you expect in it in future. Buying a new house is not just a matter of saving for the deposit, taking a loan and making the purchase. Buying a house involves contracts, negotiations, evaluations, inspections, appraisals, preparation of documents, dealing with local government authorities, ensuring that sellers give the home in the promised condition. A real estate agent can help you navigate all stages from viewing the house to evaluating finances to getting government aid to getting loans to dealing with contractors. Remember, a seller’s representative does not have to protect your interests since you are the buyer. Buyers are best served when they employ their estate agents. To find a real estate agent that you can trust, a search on the internet will give you a list of real estate agencies. Find out what you can about the performance of the agencies and their estate agents. You can even give each a call or meet with representatives and choose one with whom you feel comfortable. Remember that it will be a long-term association. Find a real estate agent whom you like and whom you find competent and professional. A professional real estate agent will keep open lines of communication and will get back to you as quickly as possible about all queries. They will also not dismiss any question as trivial. A real estate agent is invaluable even before you decide on a house. Take the help of your real estate agent to work out your finances, to understand what is the best home for you and how to get a house that is suitable not just for your life today but the house for your future life. An estate agent will also help you understand in detail about the available financing options. Financing a home is a multi-year commitment; make a decision using professional help to protect your financial interests. Financing a new home can seem like a paperwork-filled process. A few simple preliminary steps like understanding your personal finance and evaluating various home finance options can ease the burden by quite a bit. Asking for professional help from real estate agents makes the process even more comfortable. Business can never be stagnant, especially when you have so much going on around the market. It is also quite easy for an entrepreneur to get overwhelmed with the challenges revolving around their selected industry. Not one industry is spared from the flexibility! However, to get accustomed to the changes, you have to cool it down and stay focused. That’s the only key towards success. 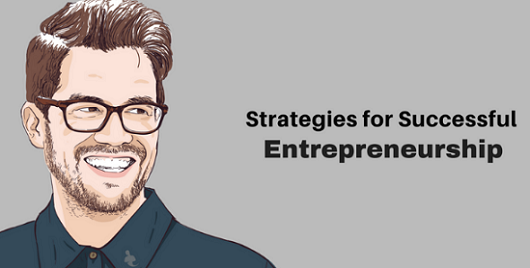 There are some selected and much-needed strategies for entrepreneurship, which might help them to get going with the challenges that might hit their way. These strategies will help them to stay prepared beforehand. Buying a house is one of the biggest purchases that you will make in your life. Once you decide to buy a house, the next thing is to be well prepared financially. The purchase process seems simple: 1. Like house 2. Put in an offer 3. Offer accepted 4. House owned. In truth, the process of “How to buy a home” involves quite the details. Specifically revolving around finances. Here are 5 major financial preparation tips to note when buying a house in 2018. The minimum requirement for a deposit is 5% of the property value. The higher the deposit you set aside, the better the deal you get when borrowing money from lenders like banks. Home buying tip number 1 is, save for the deposit. Start now. One of the best ways, for those under 40, is the Lifetime ISA or LISA account. £4,000 a year and when you buy your first home, the government will add a 25% bonus. Which means you have £5,000 (before interest) to use as the deposit. If you are 40 and above or don’t want to wait for the minimum 12 months that you need to have a LISA, you can use the Help to Buy ISA. You can apply for the government bonus once you have saved £1,600. For full benefit though, even Help to Buy ISA is effective only in the long term. Understand your requirement and choose accordingly. A Trust Explanation: A trust for a business’s purposes is a legal entity, which can be a company or person that can manage, and administer another company’s assets. The trust company acts as an agent for the other company within the guidelines that are set by both parties. Trusts also exist for individual purposes. For instance, if a minor is set to inherit an estate, he or she would be overseen by a trust- who in this case can be a group or individual who has been given specific instructions on what to do, and not do, while acting in the minor’s best interest. What do Trusts Actually do? In addition to simply holding assets, a Trust can help with the investment and asset management. Working with a Trust can be very helpful if you are growing a small business and are looking to break into the larger market. It is extremely stressful if you are involved in a car crash. Whether you have caused it or not, is not the question of the moment. If you are involved in a car accident, you should first follow a basic set of rules to ensure that you are in the all-clear, physically as well as mentally. Many people start worrying about insurance the moment they are involved in an accident. Whether you are looking for auto insurance in Garden Grove or Orange County, it doesn’t matter. What matter is that all the parties involved in the accident are fine. Those who are in such high-stress situations are normally confused and do not know what to do. If you are unsure, always call 911 (in USA) to the scene and seek the assistance you need. Do not try to handle the situation on your own as you might be in shock and will not realize the dearth of the situation. With winter fast approaching, home owners are flocking to secure insurance for their properties. It’s no hidden fact that catastrophes can cause unexpected damage to all areas of your home – and insurance is one of the only ways to cover yourself against unexpected damage. Sure, there are lots of things you can do to reduce the chance of the weather getting the better of your home, but sometimes, as unfortunate as it is, Mother Nature can’t be helped nor stopped. However, as long as you do your best, you can reduce the likelihood of having to claim, thus keeping your premium low for years to come.